The main thing to remember is not to panic - H1N1 can be successfully treated if diagnosed early. Find out more now. The H1N1 flu virus, also known as swine flu, is rampant these days. Those of you currently pregnant, or who have kids probably just can’t help being worried about its health impacts. Already, over 400 H1N1 patients have been reported from the North of the country and two confirmed deaths have been documented in Kandy. We spoke to Dr. Gayana Gunarathne (Senior Registrar, Microbiology, Faculty of Medicine, University of Kelaniya) and Professor Aresha Manamperi (Professor in Molecular Medicine, Faculty of Medicine, University of Kelaniya), to bring you useful information about this illness, including how to prevent it and what to do if you or a child contracts it. H1N1 is a respiratory disease that first spread rapidly around the world in 2009, so much so that the World Health Organization called it a pandemic. It’s known as swine flu because in the past, it was mostly contracted by people who had direct contact with pigs. However, this changed a few years ago when the virus mutated into one that spread among even those who hadn’t been near pigs. Since then, investigators decided to call this flu H1N1, because it exhibits two main surface antigens, H1 (hemagglutinin type 1) and N1 (neuraminidase type1). Because the virus is still quite new among humans, it has the potential of spreading fast due to low immunity against it. 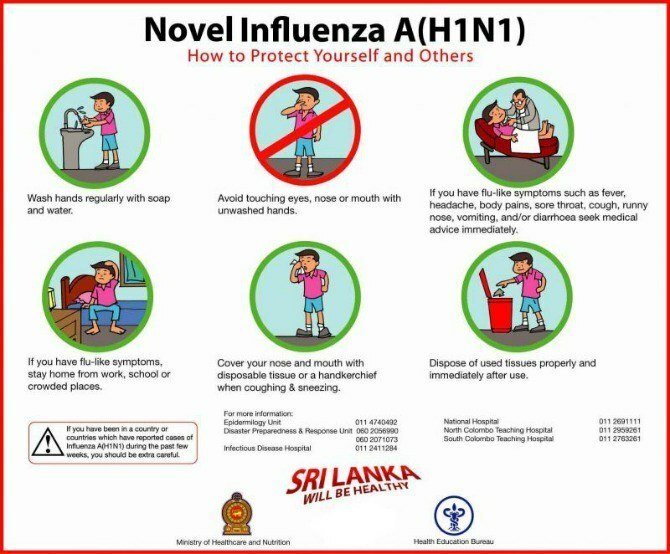 In Sri Lanka,influenza occurs through the year with two peaks in May/June/July, and November/December/January, says the Ministry of Health. Dr Gunaratne and Prof. Manamperi point out that in this current epidemic of influenza, individuals of all age groups can be affected by H1N1. However, children less than two years of age and kids with any other underlying disease in the respiratory tract such as asthma are at risk of getting severe complications due to this virus. Pregnant mothers are also included in the high risk group by Sri Lanka’s Ministry of Health. Why are young children and pregnant mothers more susceptible to this virus? Young children are at a higher risk of catching this flu and suffering more than others from its symptoms because their immune systems are still not mature enough to either prevent it, or deal with it efficiently. Experts believe that changes that occur to a pregnant mother‘s immune system might put her at a higher risk of contracting H1N1. The risk to both groups is the development of complications due to H1N1 – especially those of the respiratory tract – rather than the actual virus itself. With pregnant mums, it is thought that the added pressure put on their breathing and lung function due to the developing baby increases their risk of getting an infection such as viral pneumonia (which is harder to treat than bacterial pneumonia). 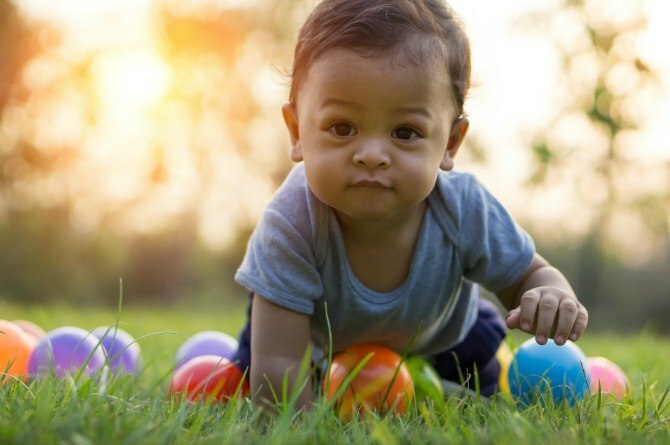 Young children too can similarly develop secondary infections, putting a greater strain on their system and making recovery more complicated and difficult. You can catch H1N1 in exactly the same way as any other flu. When an infected person coughs or sneezes, tiny droplets containing the virus are sprayed into the air. If you, or a child comes into contact with these droplets (e.g. touching a surface where the drops landed or touching something the infected person recently touched), infection may occur. You do not get H1N1 from eating pork products. If your child has fever for more than two days, please seek medical treatment. H1N1 symptoms are very different to those of the common cold and similar to those of any other influenza, advise medical experts. The severity of the disease might range from a mild flu-like disease to a severe disease with respiratory distress, say Dr Gunaratne and Prof. Manamperi. Some children also complain of non-specific symptoms such as body aches, headache and fatigue. Influenza can be present in children only with fever without any evidence of having respiratory involvement, according to Dr Gunaratne and Prof. Manamperi. While the incubation period of H1N1 is between one to four days, it is contagious around one day before symptoms develop, and up to around five to seven days after the symptoms show. This flu may last from around three to seven days, explain health experts. However, more serious infections might last anywhere up to 10 days. Many underestimate the power of that basic hygiene ritual – hand washing. This simple procedure carried out thoroughly and often is perhaps the most important prevention mechanism. Use hand sanitiser if soap or handwash is not available. Always cover the mouth and nose when sneezing or coughing and dispose of the tissue appropriately. If a tissue is not available, sneeze/ cough into the inner part of the arm. During flu season, stay away from crowded places. If your child is over six months and is eating solids, give foods high in antioxidants. If you are breastfeeding, continue to do so, even increasing the feeds. Your breastmilk contains crucial antibodies that can help protect your little one. What’s more, these antibodies become more powerful when your child is ill. Wear a face mask at hospitals, clinics and airports. Avoid visiting newborn and young babies if you or your child are experiencing any cold/flu symptoms. Always keep sick children home from school, daycare or nursery. 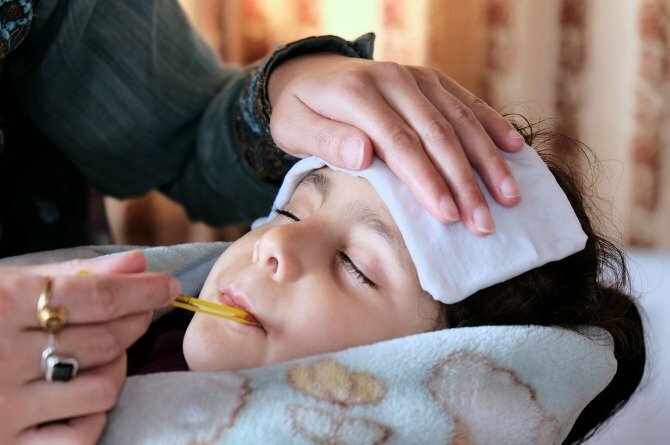 If your child has fever for more than two days, seek medical treatment. What should you do if you think you or a child has H1N1? If your child or you exhibit any of the symptoms described above, seek medical attention immediately. Dr Gunaratne and Prof. Manamperi emphasise that any child with a body temperature of more than 100 F for more than 24 to 28 hours needs to see a doctor without delay. While all children with H1N1 need not be admitted to hospital for medical care, Dr Gunaratne and Prof. Manamperi say that those with severe respiratory symptoms or children who have symptoms such as severe dehydration or very high fever will need hospital admission. Prof. Manamperi reminds us that Tamiflu cannot be bought as an over-the-counter medication from pharmacies. It is usually only administered if the person with H1N1 is admitted to hospital, and always prescribed by a doctor. Don’t be overly concerned if your child loses their appetite. This is normal and as long as their intake of fluids is good, you shouldn’t be too worried. Remember: do NOT give your child medicines belonging to NSAIDs (nonsteroidal anti-inflammatory drugs – diclofinac sodium, mefanamic acid, Ibuprofen) for fever, as we are in an epidemic of Dengue fever as well, advise Dr Gunaratne and Prof. Manamperi. These drugs can critically aggravate the negative effects of the dengue virus. The only medicine that can be used at home for kids’ temperature control is Paracetamol. Parents and pregnant mums, the main thing to remember is not to panic. Most state hospitals are geared to handle H1N1. If you are really anxious, speak to your doctor about the flu vaccine. Follow the the safety precautions described in this article, and remember that when diagnosed early, H1N1 can be successfully treated. Share your thoughts on this article in the comment box below.